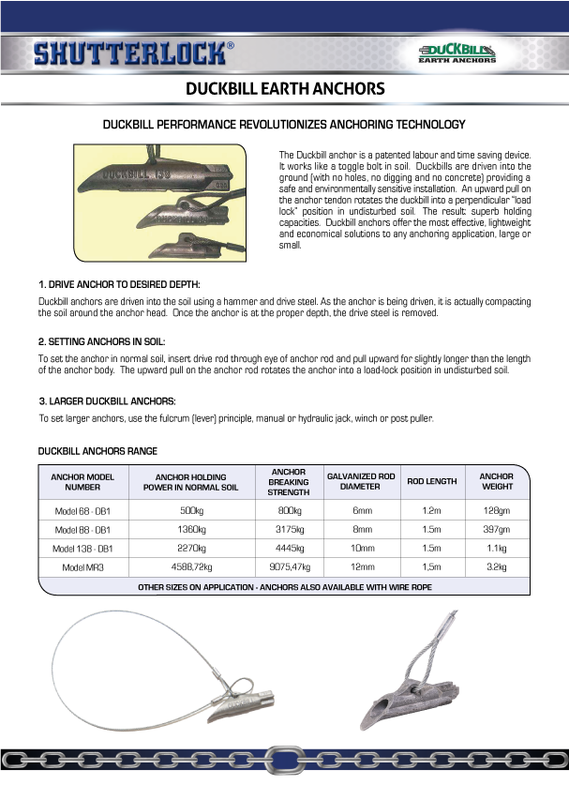 The Duckbill anchor is a patented labour and time saving device. It works like a toggle bolt in soil. Duckbills are driven into the ground (with no holes, no digging and no concrete) providing a safe and environmentally sensitive installation. 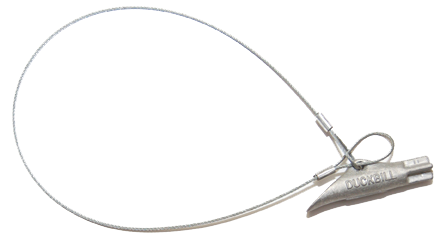 An upward pull on the anchor tendon rotates the duckbill into a perpendicular “load lock” position in undisturbed soil. The result: superb holding capacities. 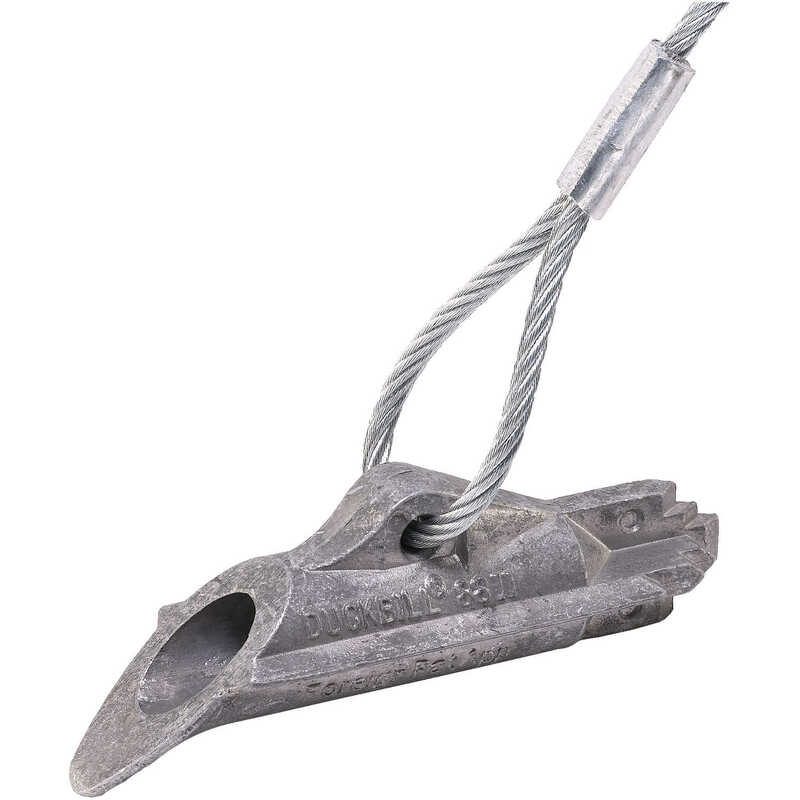 Duckbill anchors offer the most effective, lightweight and economical solutions to any anchoring application, large or small.